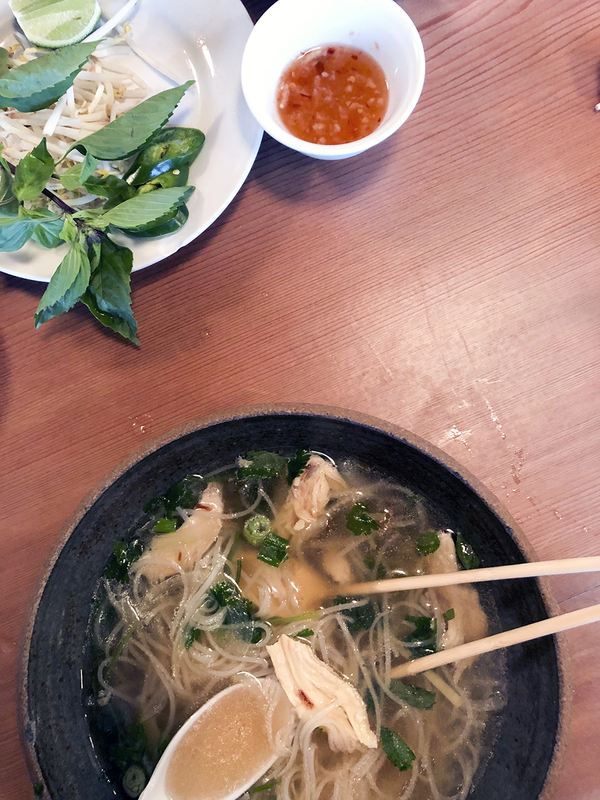 When Andrew and I first met in Los Angeles, we established rather quickly that we had in common a love for Vietnamese pho soup. One of our first “pho dates” was at a Vietnamese restaurant called “Blossom” in Silverlake, but the restaurant didn’t have a sign on the building. It was a mystery place you needed to know about. It was also the best pho soup I had ever had! Being newly in love just might have had a little influence on my taste for this particular place. But still to this day, Blossom is one my favorite Vietnamese restaurants in Los Angeles (there are other really great ones too, though)! 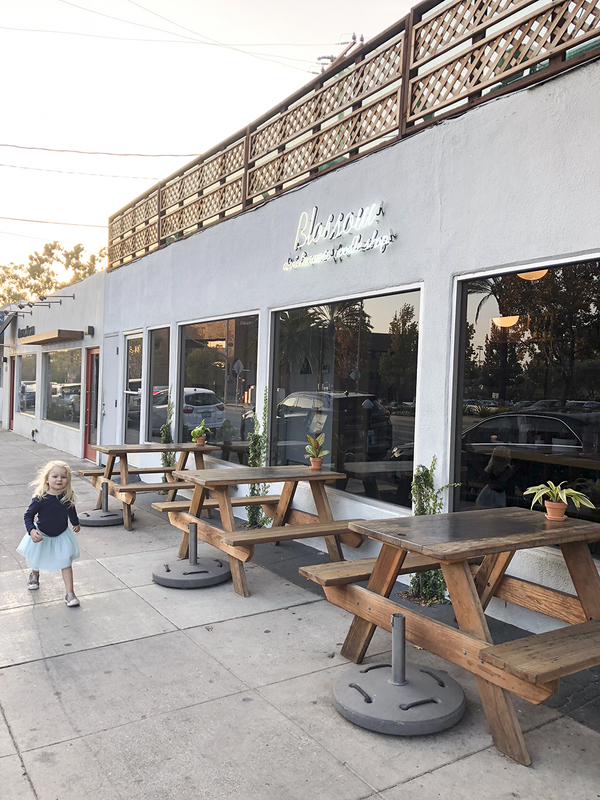 We were especially excited to see that Blossom was opening a new restaurant five minutes from our home in Santa Monica this last year! 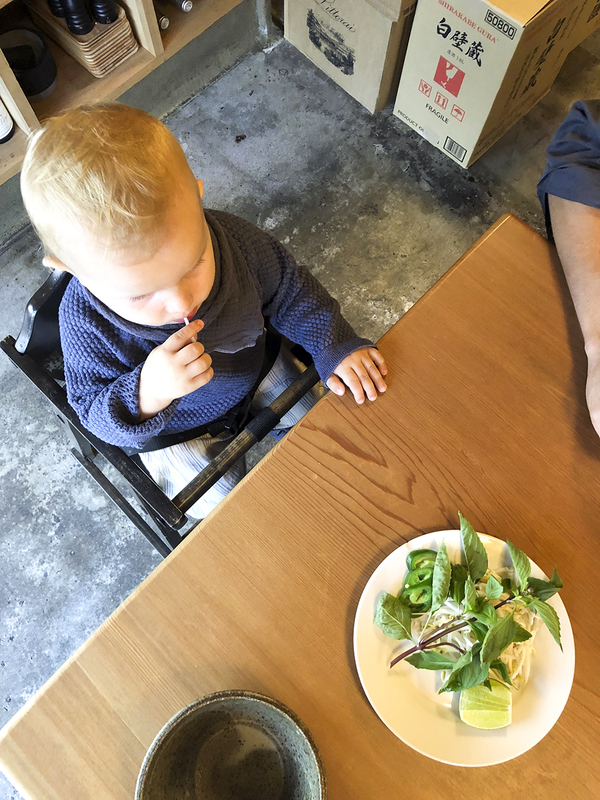 Their other locations are in Silverlake, China Town and Downtown LA — all locations that seem impossible with kids in tow and rush hour traffic taken into account. We actually don’t go out for dinner with the kids much at all, because we like to rejoin at home after a busy day apart and prepare dinner and eat together as a way to wind down and stick to a predictable routine. But without hesitation we will take them to Blossom for dinner occasionally. The kids love going too, for a few great reasons; they love the food, it is served up in a blink of an eye (no need for crayons to pass time! 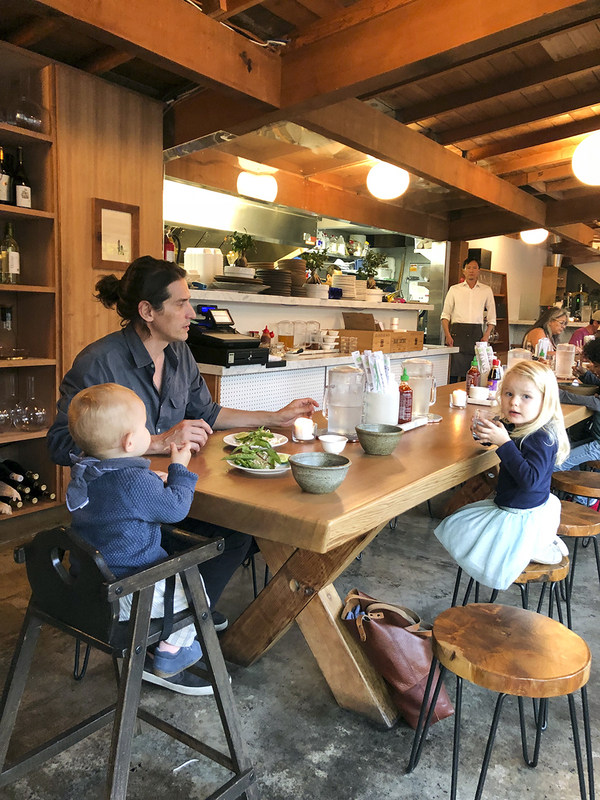 ), the table is one long communal table, the staff is friendly, you’ll likely strike up a conversation with the kids or adults sitting next to you at the communal table, and the drive home is very short. I also really like the interior design and decor at Blossom in Santa Monica, it’s very comfortable and warm. The wood paneled walls, the large wood table and the wood beam ceiling with opaque globe lights feel like we are eating in someone’s living room! Find their menu, this way!